Once upon a time, you have seen a fascinating wooden sculpture, and with its beauty, you instantly fell in love with the art of carving. You realized just how badly you want to make one yourself and become a sculpture right then and there. You want to make your very own sculpture as soon as possible, but you realize it’s not that simple. So there you are now, having absolutely no idea on how you can make a beautiful masterpiece out of a weird pointy tool and a single piece of wood. Whether you’re interested in learning wood sculpture for work, business, or just for your leisure, it is essential to learn everything about it, and it’s not going to be that simple. There are tons of things that you need to learn about making wood sculptures. You probably don’t find any rational reasons why you need to identify your skills and abilities in sculpting but know that this is one of the essential things that you must learn. 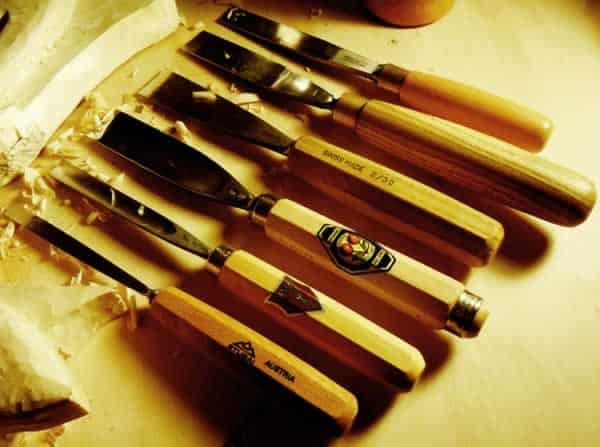 Identifying your sculpting skills and abilities will help you determine which type of wood carving best suits you, and what kinds of wood and best wood carving tools to use in making such kind of wood carving. Nonetheless, you probably won’t have a hard time learning about the level of your skills and talent. You sure know yourself by now. The second thing you need to learn in wood sculpting is the different types of wood sculptures. Here, you can determine what kind of woodwork you want to make, what kind of specific technique you want to use to achieve that kind of woodwork, and what type of wood you’d wish to your woodwork to make out of. Whittling is one of the oldest forms of wood sculptures. Its sharp, highly-textured cuts identify whittling. The cuts are so emphasized, that it leaves knife stokes on the surface of the sculpture. Some don’t prefer whittling wood sculptures because of the output’s sharp, textured cuts, but that’s just what makes it whittling. It’s part of the beauty, part of the art. Relief sculptures are identified by their carved surface and flat, blank back. Unlike other wood sculptures which carve the entire piece of wood, relief sculptures only carve figures into the wood. Here, you start by taking a piece of wood, laying the flat part on a surface, and carving the upper, unhidden portion. Compared to any other types of sculpture on this list, this type of wood sculpting style leaves the most elegant finish. Unlike relief sculptures, the wood in this type of sculpture is entirely carved on all sides. The carvings are exquisite and smooth and don’t have any sharp, textured feel when touched, unlike the whittling type of sculpture. By the name itself, the angles of the sculpture are rounded, giving a wonderful touch. As the name suggests, chip sculpting chips away small pieces of wood. This kind of sculpture is the type that is commonly used in making patterns on wooden plates and boards. Knife, hammer, and chisel are used in this type of sculpture. After you’ve learned about your carving talent and identified the different types of wood sculptures, you’ve probably already had by now a picture of your sculpted wooden masterpiece in your head. Before rushing full speed to the market to buy a piece of wood that you’re going to carve, identify the different types of woods for sculpture first. Woods from hardware stores are not the kinds of wood that are used for wood sculpture. The kinds of wood used for sculpture are particular kinds of wood and are specially made for sculpting. So, don’t ever try to use the woods from hardware stores or even from your garage, unless you’re using them for initial craft, though. To be sure, get your wood from an art and crafts store. There, you will be accommodated in your needs. If you’re a beginner and still not familiar enough of the different types of wood for sculpture, you can ask the sales staff in the store and tell her what you need. In case you don’t know what you need, tell them what type of craft you’re going to make and they shall give you the kind of wood for your craft. Butternut is a sculpting wood with a light brown color and a unique wood pattern. With its coarse grain, butternut is easy to carve. Basswood is the best kind of wood for the whittling type of sculptures. It comes in light and cream color. Like butternut, it also has a fine grain, so it’s easy to carve. White Pine wood comes in soft and cream color. Its medium wood grain allows sculptures to carve shapes and patterns quickly. This kind of wood has a very light yellow color. Its wood can be in a medium or coarse grain, so it can be hard to carve. Black Walnut isn’t black. It’s just a little bit darker brown than any other types of wood; that’s why it’s named after the black color. It’s got medium grain, so it can be a little hard to carve, too. Mahogany wood has always been known to have a reddish color. Many sculpture experts identify mahogany carving intermediately difficult, because of its medium grain. Unlike the literal cherry fruit, cherry wood doesn’t have a reddish color, but only a pinkish brown color with a rather wavy pattern. It has a fine grain and is very hard to carve. Sugar maple woods are light cream colored. Like cherry wood, sugar maple wood has a beautiful grain and is very hard to carve. There are more than a lot of kinds of wood sculpture tools, and they all look very much alike, so it can be tough to identify which is which. Plus, each tool is designed for a specific function and purpose. If you’re a novice in wood sculpture, you will find yourself dazed helplessly in a corner in no time. Don’t worry much, though. You don’t have to memorize all types of carving tools at once. You have to know the necessary tools. There are different types of gouges with various functions, but they have physical similarities. 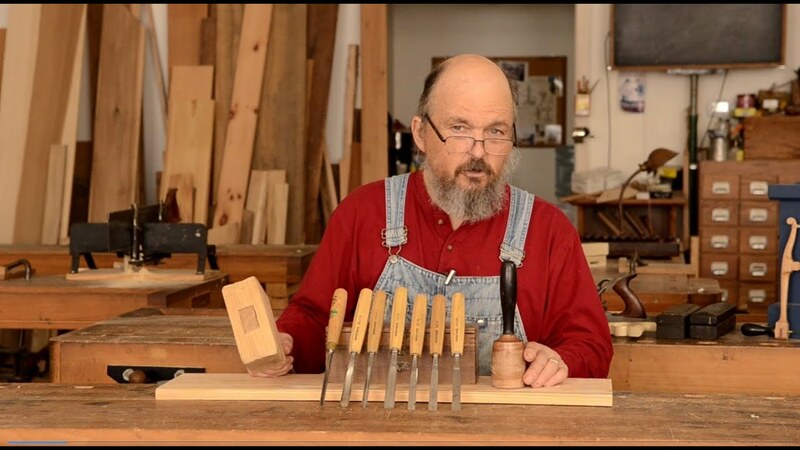 Gouges have curved edges, which allow them to scoop out areas of wood. Chisels are sharp carving tools with mallets. Wood chippers rubber mallet instead of wood, reducing noise in crafting and preventing immediate wear and tear of the tool’s handle. Carving knives are carving tools with about an inch-long blade designed with a long handle.